The new Pro HD 6000 pound winch with Rapid Recovery boasts monster pulling power that can tug just about any vehicle out of the soupiest mud holes. This system installs in less than 30 minutes and Dirt Trax Television Co-Host AJ Lester claims it is the easiest winch install he's done to date. 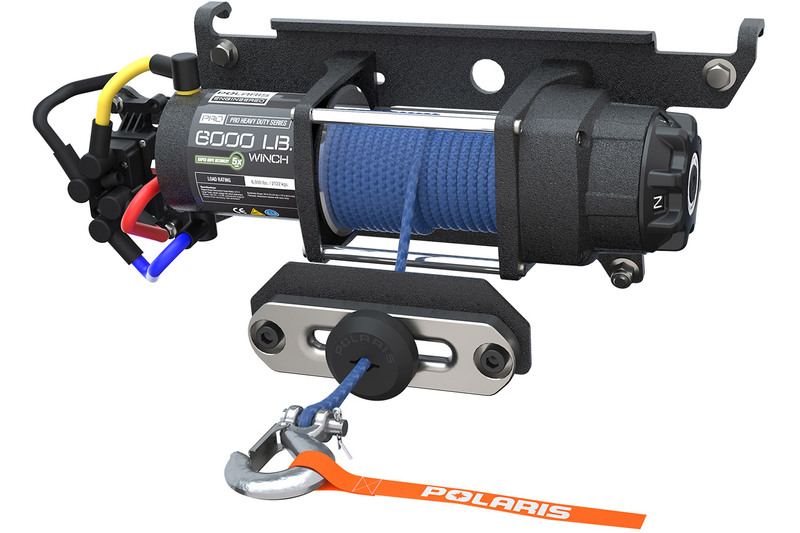 This winch system features a wireless remote that allows you to get completely out of the vehicle and operate from a safe and dry location up to 50-feet away from the winch. This is a great feature if you're stuck deep in the woods on your own or if you're pulling someone else out and want to have clear visibility of the operation. The remote is also coded so it won't interfere with other Pro HD Winches. This winch system also features auto stop technology fairlead that senses the winch bumper making contact so you don't bind your cable when in recovery mode. The coolest feature of the Pro HD 6000 lb winch is Rapid Recovery, which is activated by a gear system via the same dial used to free-spool your cable. Rapid Recovery spools the cable back into the spool 5-times faster than the average speed of other winches so you aren't left waiting too long to recover your cable, getting you back on the trail faster. WHICH BIG BORE ENGINE LAYOUT IS BEST?